This book has quite a few 5 star reviews, giving me high expectations. Maybe too high. The premise is interesting. 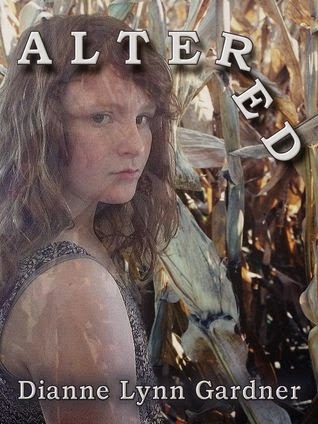 A young adolescent girl and her family caught up in a world where food has been genetically altered (Monsanto anyone?) so that crops no longer produce seed meaning only this new regime can produce crops AND a new military regime that has taken control of the USA essentially making everyone a working prisoner, or locking them up to die. A bit grim for a YA novel perhaps. I really had high hopes for this, especially because the author touches on the Hopi legends of The Ant People. Sadly she really doesn't explore that legend at all. Although The Ant People are referenced several times there is no real explanation of what The Ant People are or why they are important, except that a few of the characters use them as inspiration to keep fighting. Similarly, the Mexican diety Quetzalcoatl was referenced - actually in conjunction with The Ant People references, but again with no real exploration of any related legends. I'm not sure why the author chose these two legends to combine in this way because as far as I can tell they are unrelated, but it is fiction after all. So with those dissapointments aside I'm afraid I have to add a few more. Some of the other reviews I've read on this book rave over how well written it is. I'm afraid I must disagree. I found it severely in need of a content editor. I have never seen, or heard, so many people sneer, snicker or get red in the face. It got to be very annoying. And twice the author said that a character's ears hurt because of the silence. Huh? The characters often seemed bi-polar, laughing and high spirited when the situation was serious. It just felt off. The dialogue also didn't feel realistic to me at all. The story itself wasn't bad. It had heart. It had adventure. It had some characters you wanted to care about. But. Sadly, for me this was a book that had a ton of promise, but it just didn't live up to it. What was the last book you were really looking forward to, but found disappointing? 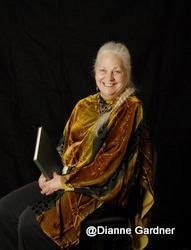 Both an author and illustrator Dianne has written young adult fantasy and dystopia novels. Much of her work is being republished this year by PDMI Publishing LLC and a new work brought to you this spring by Master Koda Select Publishing. Be on the look out for her audio of Deception Peak soon, as well.